The pictures and video will paint the story of this beauty. Then come see, it's even better in person. 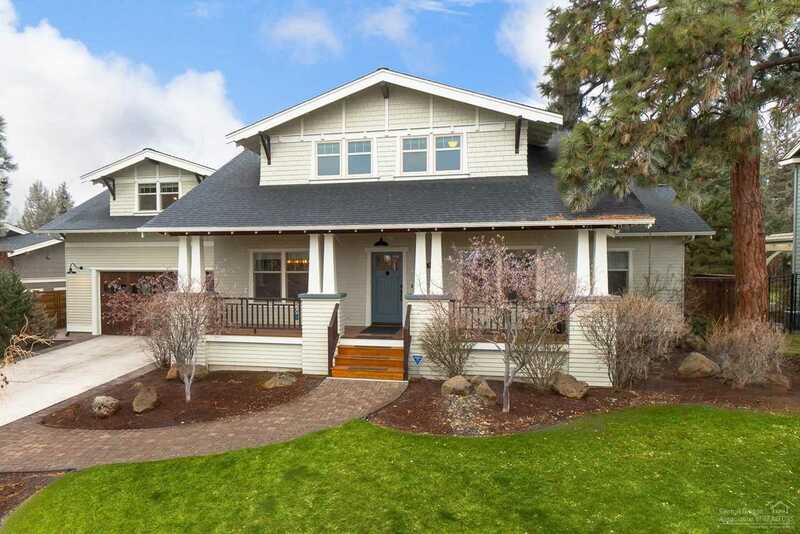 Situated on a .26 acre lot overlooking natural terrain and Sawyer Uplands Park this craftsman style home has both charm and fresh style. With 4 fireplaces, front and back teak decks, quartzite counters in the kitchen and bathrooms, new SS sub zero refrigerator this stunning home has recently been updated with designer flare. Main level living with a master suite and its own cozy fireplace and spa like bathroom that opens to a teak sun deck overlooking the tree lined backyard. Hardwood floors on the main level, radiant heat floors in the master bath and lush carpeting throughout the rest of the home. Upstairs you have 2 guest bedrooms and with personal space, guest bath, a loft and a private bonus room. The backyard is set up perfectly for tranquility or inviting and large enough to entertain guests and enjoy the outdoor fireplace. This home is the epitome of style and function. SchoolsClick map icons below to view information for schools near 703 Yosemite Drive Bend, OR 97703.